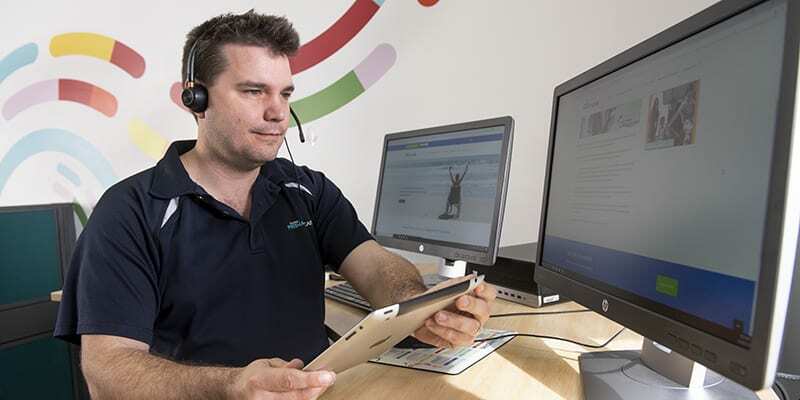 The IT Department at Hunter Primary Care currently provides IT support and services to over 100 health practices including general practices, allied health, specialist and aged care facilities. We support over 1,000 computers and servers located all over the Hunter region and beyond from Foster to Redfern and as far out as Quirindi. Our IT team has specialised expertise in primary health care information management and technology systems, including medical record software and security requirements, as well as experience in the wider health sector. Help desk support is available from 8:00 am to 6:00 pm Monday to Friday. We also have staff on call to provide emergency support until 11:00 pm, 7 days a week. For further information contact the help desk on (02) 4929 1000. HPCMITS is a fully managed support, maintenance and monitoring service of both servers and workstations. A small piece of software is installed on all managed computers. Once installed, all that is needed is a reliable internet connection and our team will take care of the rest. 24 Hour Monitoring: Our systems monitor the performance of your servers and computers. Alerts are generated and sent through to us when predefined thresholds are reached, reducing the need to request a support call. Backup Checks: How do you know your backups are working? With HPCMITS we can be alerted to backup success and failures as well as perform test restorations with no impact on your day to day business. Business Continuity: HPCMITS can provide a complete image of your server so in the event of a disaster the image can be restored to any temporary or replacement PC or server. Antivirus Deployment and Control: With our automated systems we can be alerted if your antivirus is out of date on any computer or server and take appropriate steps to rectify. Hardware/Software Inventory: HPCMITS has the ability to interrogate all devices on your network and provide a snapshot of the specifications of all servers and computers making Hardware Replacement Plans easy to manage. Windows Patch Management: HPCMITS can deploy Windows updates to your network only after it has been checked that they are safe. Secure Remote Control: Hunter Primary Care IT staff can quickly and securely take control of your computer to resolve an issue saving time, frustration and money. Software Deployment: Software installations and updates can be done remotely and after business hours minimising impact on normal business operations. File and Application Control: Files or applications can be removed and prohibited from being installed if necessary. This allows your business systems to operate for what they were intended for. Response Time: Within four business hours of a critical incident, a Hunter Primary Care IT support engineer will contact your nominated Client Representative and initiate a resolution of the issue. Business hours are Monday-Friday 8am-6pm. Automatic Support Tickets: These are tickets automatically created based on predefined rules and thresholds in the system as referred to in “24 Hour Monitoring”. User-Generated Support Tickets: These are tickets that are requested by the Client using the HELP function and or phoning Hunter Primary Care’s Help Desk on (02) 4929 1000. Free On-Site Call Out: Any support tickets that require an onsite visit or visits to rectify the issue will not incur a call out fee or any travel costs to the client. HPCMITS will lease server hardware built and configured as required to the practice for a monthly fee. The hardware remains the property of HPC for the duration of the agreement. HPCMITS will replace the hardware every three years and upgrade the hardware as required by the practice. The term of the lease of the server will be for 36 months from the instalment date of the server. HPCMITS will host a virtual server configured as required for the practice for a monthly fee. HPCMITS will maintain and upgrade IT infrastructure as required and increase resources for the virtual server as required by the practice. The term of the lease of the server will be for 36 months from the installment date of the server. HPCMITS can configure your backups so that a 2nd copy is sent over the internet with encryption to our servers. You don’t have to worry about swapping USB drives to get your backups offsite anymore. Fulfill accreditation requirements easily and rest assured your data is always safe with Offsite Backups to your Managed IT Service provider. All your backups are stored on secure servers in Newcastle. Having a copy of your backups on our servers will help reduce downtime in the event of an disaster. HPCMITS can configure your remote access server with Multi Factor Authentication. Don’t just log in with a username and password, have your server send a message to your mobile the instant you log in to verify you are authorised and keep the bad guys out. If you need a website to help promote your business we can help. We have three pre-built options for you to choose from to suit your budget. We can also help with more customisation to ensure your website suits all of your needs. Since 1997 Hunter Primary Care has been instrumental in rolling out a clinical messaging system, Medical Objects. The project connects hospitals, specialists, GPs and allied health clinicians working within the Hunter New England Local Health District and its surrounding areas. This project has provided immediate benefits to the delivery of health care to our community. Where consultation summaries were once faxed or posted, they are now sent electronically and integrated into the patient’s electronic record at the recipient end. Medical Objects is a secure point-to-point system that uses a three-level acknowledgement system to ensure summaries are received securely. Electronic transmission is fast, timely and reduces clerical overhead costs for clinicians. If you are being assisted by Hunter Primary Care IT Services remotely, please download the remote support software. For assistance with downloading TeamViewer QS contact the IT Support team on (02) 4929 1000. Hunter Primary Care has developed the templates below to be imported into GP practice management Software.